Maisonette is located in the vicinity of the hotel Le Meridien and 20 meters from the sea. The beach is awarded "Blue Flag". 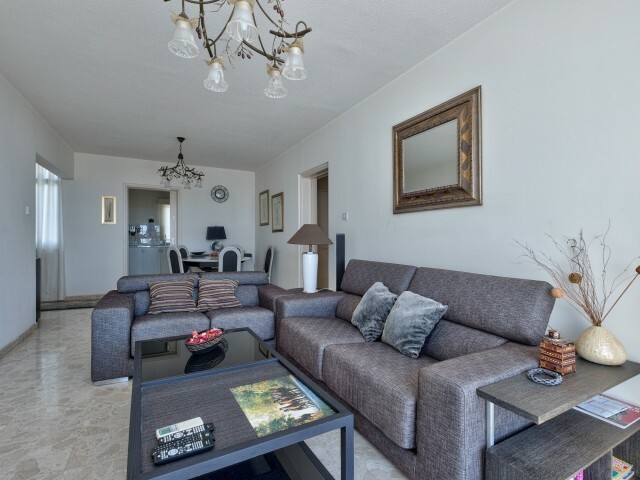 In walking distance of St. Raphael Marina, shops, bars and restaurants. Convenient access to Highway. Available 6 people a.. The apartments are located 100 meters from the sea. In walking distance of a supermarket, restaurants, cafes, bus stop. 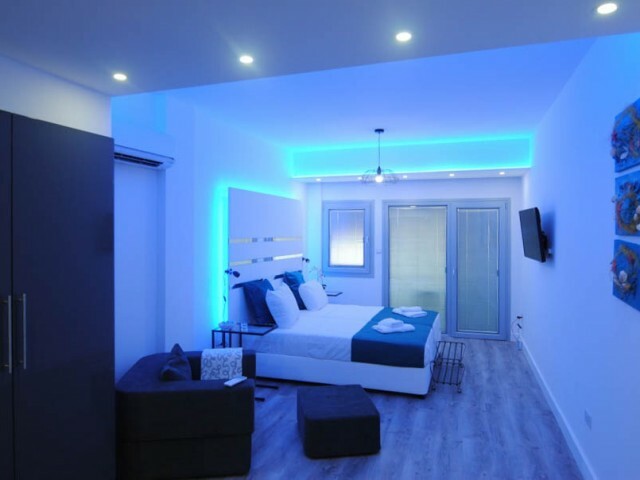 Balcony with side sea view, comfortable furniture, a fully equipped kitchen: washing machine, cooker, microwave, kettle, all ki..
New luxury studio located in the heart of Larnaca, near one of the most famous shopping street of Ermou. Walking distance to a large number of amenities - cafes, shops, supermarkets and mini-markets, a variety of taverns. The studio is fully equip..
Villa with 3 bedrooms in a closed gated complex, just two minutes walk from the sea. Two bathrooms, private swimming pool, covered parking and a barbecue area. The villa is fully furnished and equipped. The complex has two communal swimming pools,.. 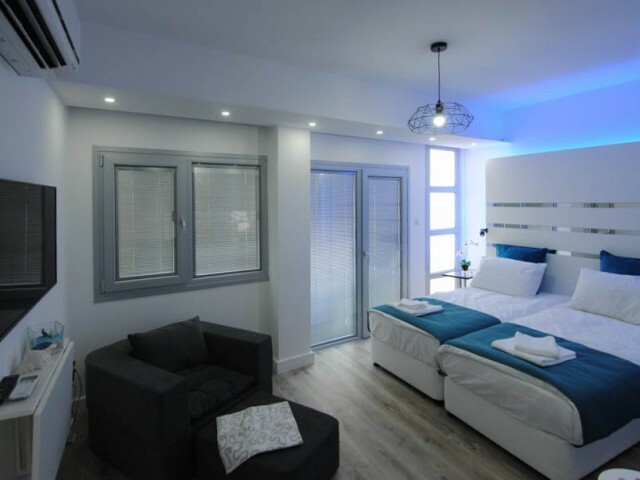 The villa is located on the main street of Protaras, a stone's throw from the famous beach in the Bay of Fig Tree Bay. 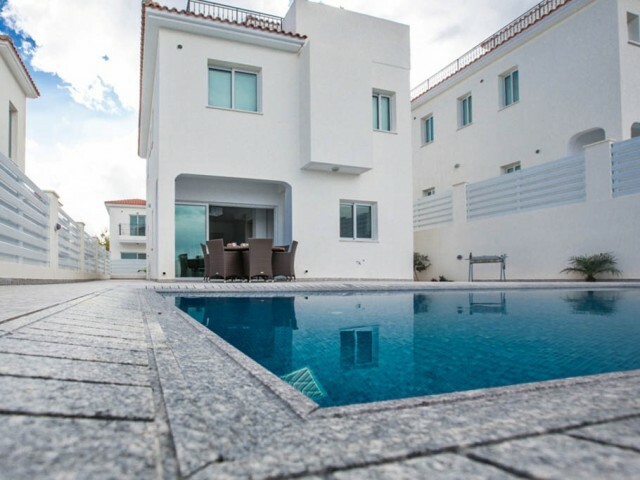 Modern three bedroom villa is tastefully decorated to a high standard. The entire necessary infrastructure walking distance: caf.. 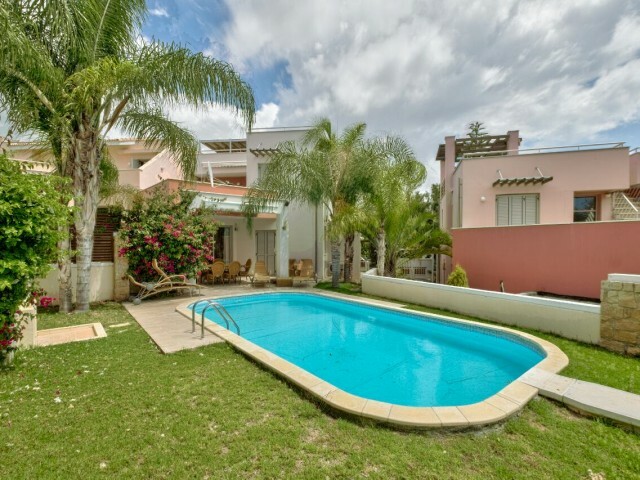 The villa is located in the heart of Kapparis, on a quiet promenade, just 300 meters from the beach and local attractions. This villa exudes style, luxury and comfort. As soon as you enter the villa, you are welcomed by a spacious living room with..
Villa with 3 bedrooms is located just a few minutes walk from the beach, Fireman's Beach and all amenities. Villa is ideal for a relaxing family holiday, with sea views. Spacious living room, bedrooms and bathrooms can accommodate 6 people. A spac.. 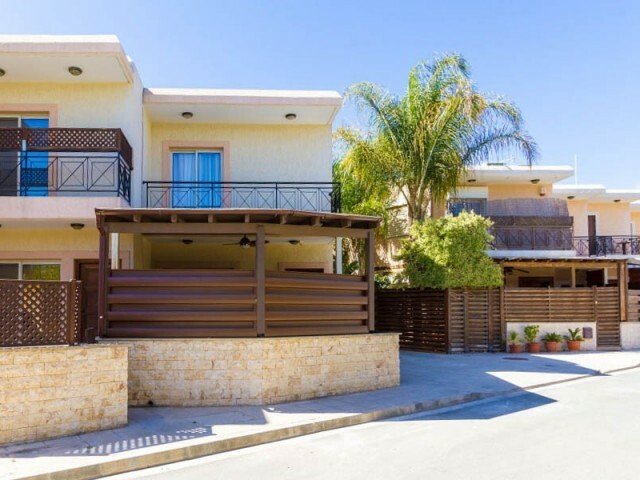 Spacious and modern villa with 3 bedrooms and private pool located just a two minute drive from the center of Protaras. The villa is situated on a hillside with stunning views of the sea and the city. On the ground floor there is an open plan livi..